Vacation time is officially here and I'm packing my bag (bags!) for a beach getaway! It's a girls' trip and we're heading out bright and early tomorrow morning. I've partnered with Kohl's as part of their Vacation Essentials campaign to share a few of the pieces I'm bringing with me! 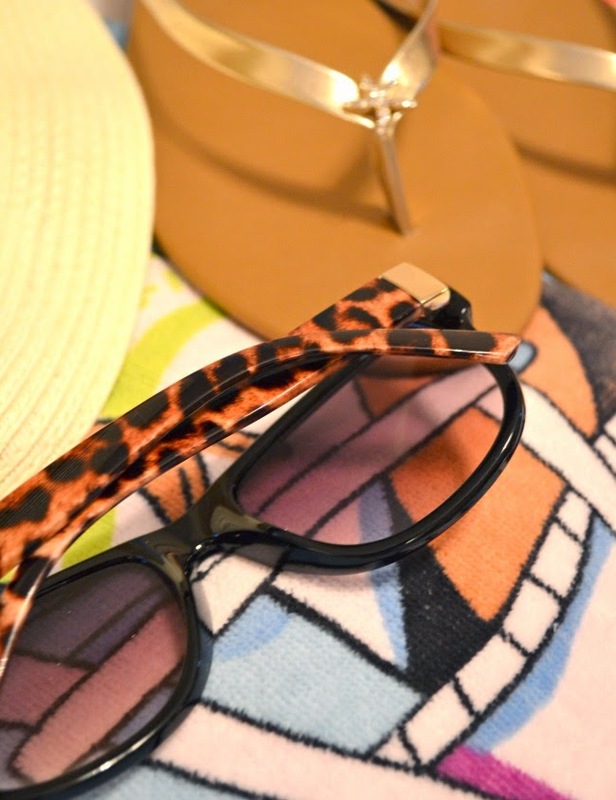 First up today - what's in my beach bag! When I started shopping for these posts I immediately knew I wanted to get a new straw tote - one that I could use for the beach, pool, errands, or even carry as a cute summer bag. This one is perfect. It's a great size, the color is neutral, and I love the leopard print lining. 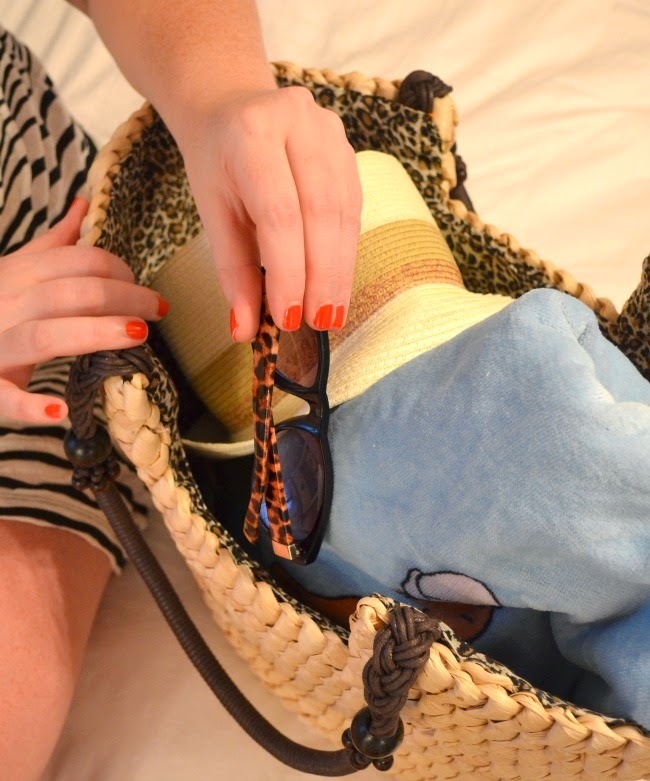 Inside my bag you'll find the usual beach bag staples - a colorful towel, sunglasses, magazines, a hat, and SPF. Keep scrolling for some more pics of what's inside and find the links to the products at the bottom of this post! Disclosure: I was provided gift cards from Kohl's to shop for the products featured as part of their Vacation Essentials campaign. All opinions are my own. Kohl's is a brand I truly love and support. 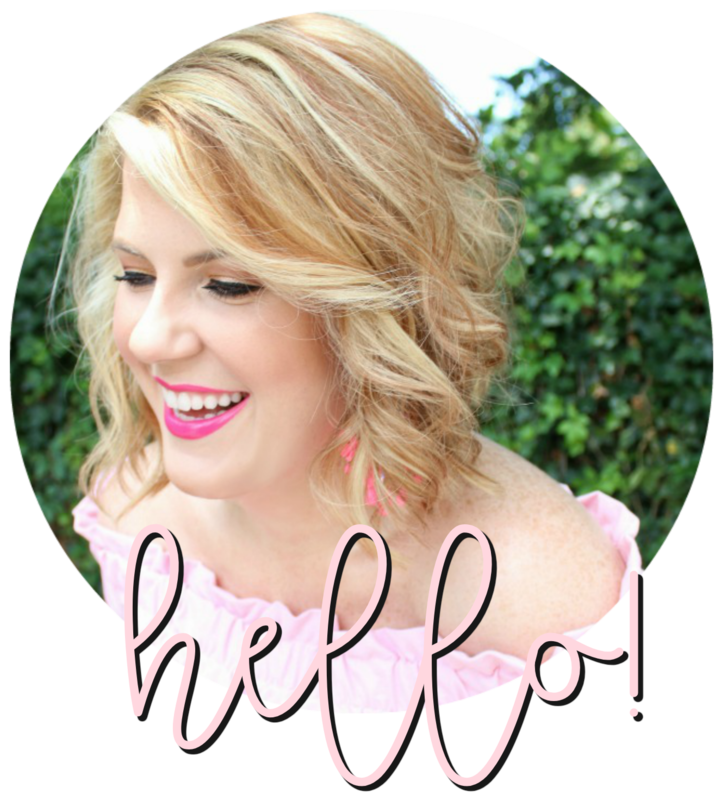 Thank you for the supporting the brands that support my blog. Have a fabulous time! That bag looks absolutely perfect for the beach (and for everything else a vacation brings! ).